Muse have today announced that their new studio album, ‘Simulation Theory’, will be released on November 9th through Warner Bros. The eleven-track record was produced by the band, along with several award-winning producers, including Rich Costey, Mike Elizondo, Shellback and Timbaland. Each of the album’s songs will be accompanied by a video. ‘Simulation Theory’ will be released in three formats: Standard (11 tracks), Deluxe (16 tracks), and Super Deluxe (21 tracks). The expanded tracklisting features an acoustic gospel version of ‘Dig Down’, The UCLA Bruin Marching Band feature on ‘Pressure’, a live version of ‘Thought Contagion’, acoustic versions of several tracks, including ‘Something Human and ‘Alternate Reality’ versions of ‘Algorithm’ and ‘The Dark Side’. For specific format tracklisting see below. Artwork for the album was illustrated by digital artist Kyle Lambert, who has done the poster art for ‘Stranger Things’, ‘Jurassic Park’, and many other films. The Super Deluxe cover was illustrated by Paul Shipper, whose previous work includes ‘Star Wars: The Last Jedi’ and ‘Avengers: Infinity War’, amongst others. 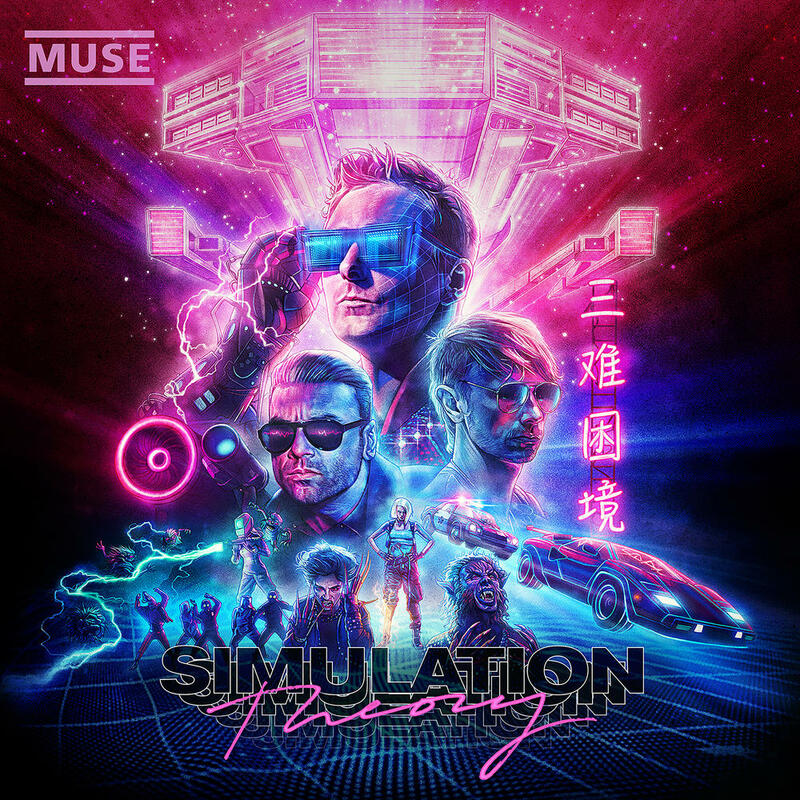 Anyone buying ‘Simulation Theory’ through the band’s store will get early access to tickets for Muse’s 2019 tour.